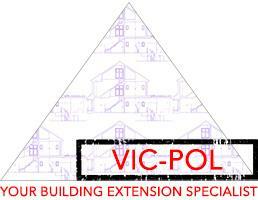 Vic-Pol Ltd - Bathrooms, Bedrooms, Builder, Kitchens based in London, Greater London. Vic-Pol Ltd is a specialist end-to-end extension building company offering a multitude of construction services from structural works and repairs, groundworks and brickworks, screening and plastering to rear extensions, kitchen & bathroom installations and refurbishment, general plumbing, electrics, painting and decorating, joinery and carpentry to roof repairs and loft conversations. Our highly-skilled, friendly and professional team offers advice and FREE quotation on all aspect of general building and refurbishment works. No matter what the size, we approach every project with the same ethos and enthusiasm - as a result most of our work comes from referrals. Vic-Pol Ltd calls on many years of experience in the industry to ensure the highest quality work on every project and all our works come with 10 year guarantee. Please feel free to browse through our photos and company details and do not hesitate to contact our company director, Victor on 07931 501762 should you wish to discuss your project or book a free quotation visit.